Keeping my beauty stash clean and organized at all times wouldn’t be such a “mission” if we were talking about a single makeup drawer over here. 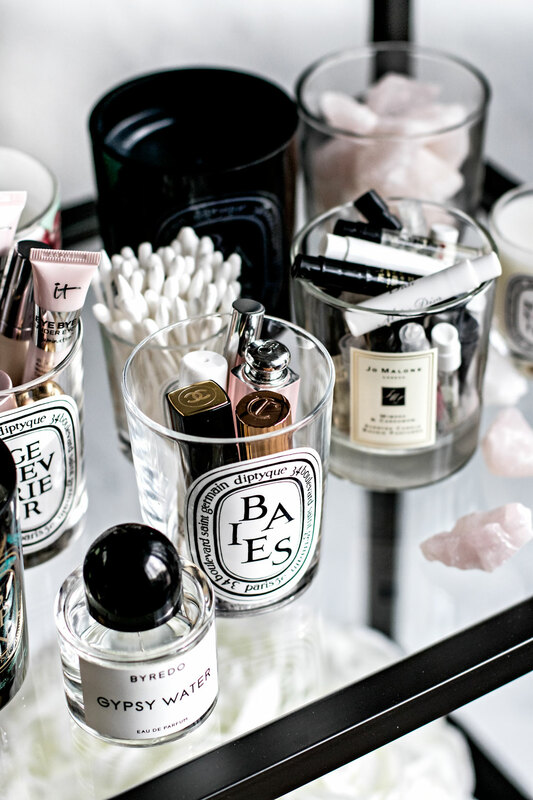 Instead, it’s 10 drawers and a handful of acrylic organizers covering an entire desk. As anyone who’d describe themselves as a “beauty junkie” probably knows, organizing your “stash” is fun, but your makeup table seems to get messy again within hours. Just as I like to deep clean and re-organize my kitchen cabinets and closets every spring and fall I like to do the same with my beauty collection. It’s not about getting rid of the old to make room for the new, but more so about keeping your skin healthy and happy. Just as you do a few loads of laundry once a week, you should do the same for your brushes, sponges and other applicators. Warm water and baby shampoo are good enough. I also use rubbing alcohol to clean the handles after cleaning the brushes. To avoid your brush numbers/names wearing off over time, you can also use a coat of clear nail polish to seal it- that will help any lettering from wearing off too quickly. Don’t let brushes with wooden handles soak in water for long periods of time- they can crack and break. Not all palettes are created equal. Some eyeshadows and powders tend to get all over the place with a ton of fallout, some get chalky residue if not used too often. There are also a few palettes and powder products that I only reach for once in a while. To keep those products clean, I first wipe the powders and eyeshadows with a clean tissue. After that, I use a clean, fluffy eyeshadow brush that is damp with a very small amount of rubbing alcohol and gently brush off/clean off just the top layer. I’ll do the same thing with the product packaging. In addition to cleaning the brushes, I’ll also clean my jars and acrylic containers. Regular hand or dish soap gets the job done just fine. After cleaning them I also wipe them with a small cloth soaked in alcohol. If you want to know how I clean my used candle jars and remove any wax residue from them to reuse them for beauty storage, you can read this post. At least once every 6 months I also like to go through both my makeup and skincare (+body care) collection and check their expiration dates. For skincare products that have a particularly short “use by” period after opening, I’ll mark the date the product was opened right on the packaging. I toss anything that is expired or changed the texture. 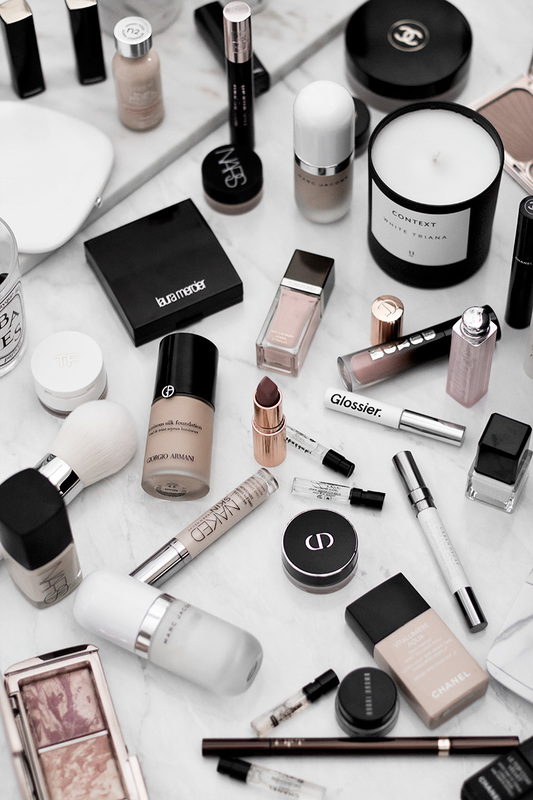 Look for any changes in the consistency of your base products, creams, and foundations- especially if it’s something you haven’t used in a while. A few years ago I made an effort to be more mindful about my beauty spending because things have gotten a bit out of control. Since then, I don’t find myself having to throw a lot of products away and use nearly every single product I own, but it’s still a good idea to check on those products. This is especially important if you have sensitive skin and/or are prone to allergic reactions. Try to do the same when re-organizing your tools and brushes: get rid of any brushes that shed or are falling apart. 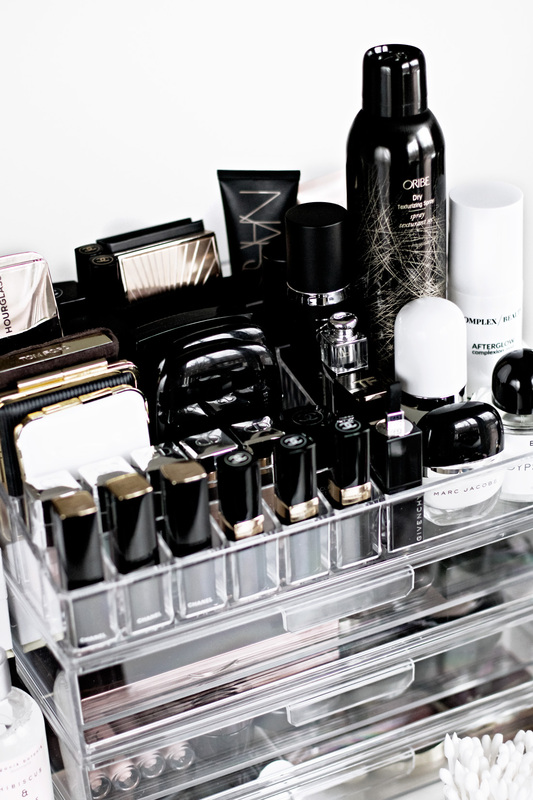 To avoid a sudden panic when looking for some of my most-used and loved products that I reach for on regular basis, I keep all my staples in a separate acrylic organizer. 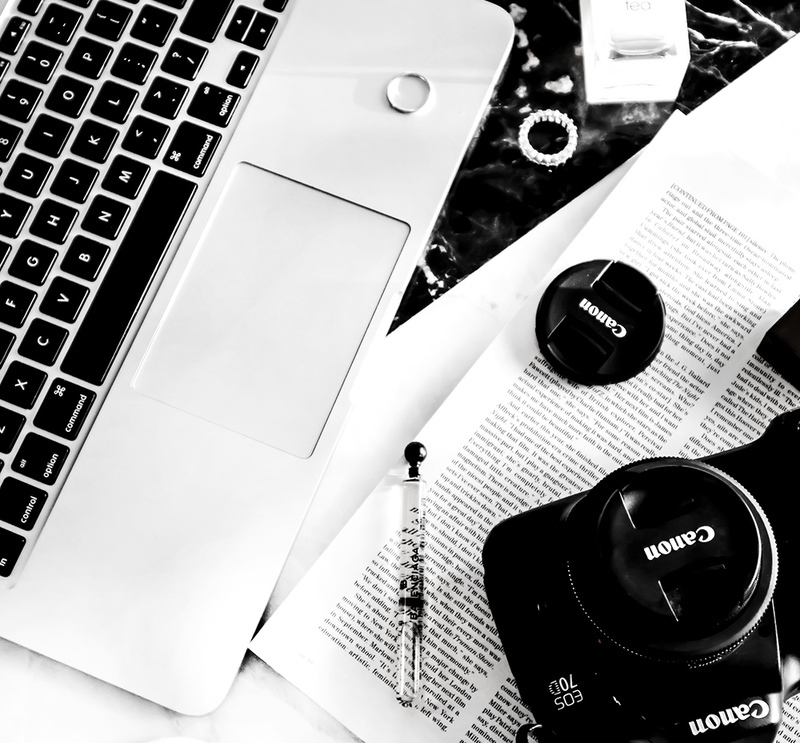 Products like my favorite eyeliner, a lip primer, eye cream, go-to mascara, makeup setting spray (Urban Decay’s All Nighter, of course)- are all bits I reach for on both a daily basis and special occasions. Getting ready to go somewhere and having to go through your entire (quite substantial) makeup collection to find an eyelash curler can be pretty annoying. I do the same thing with “seasonal” makeup like heavier foundations I reach for during colder months, lipstick colors, etc.- I keep them in a separate organizer. I’ve always found re-organizing and cleaning strangely therapeutic. Although tackling my entire beauty collection is quite a chore, I think that it being so extensive gives me even more reason to care for things like expiration dates, and keeping my skincare products happy by avoiding storing them in warm and/or sunny places. We spend a ton of money on all these beautiful products, but they do have to be cared for. After all, we put that stuff on our skin, face, eyes- it’s a good practice to do a little audit of your collection once in a while. 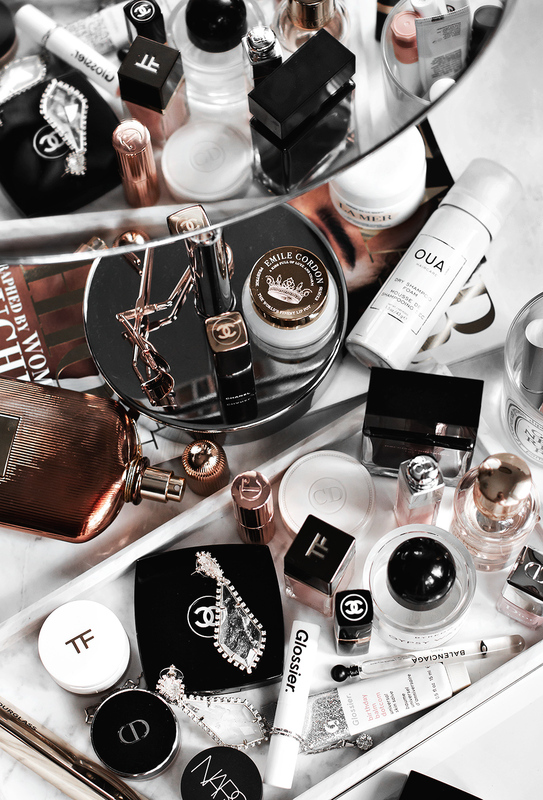 Is a beauty “audit” and a deep-clean session on your to-do list this season?